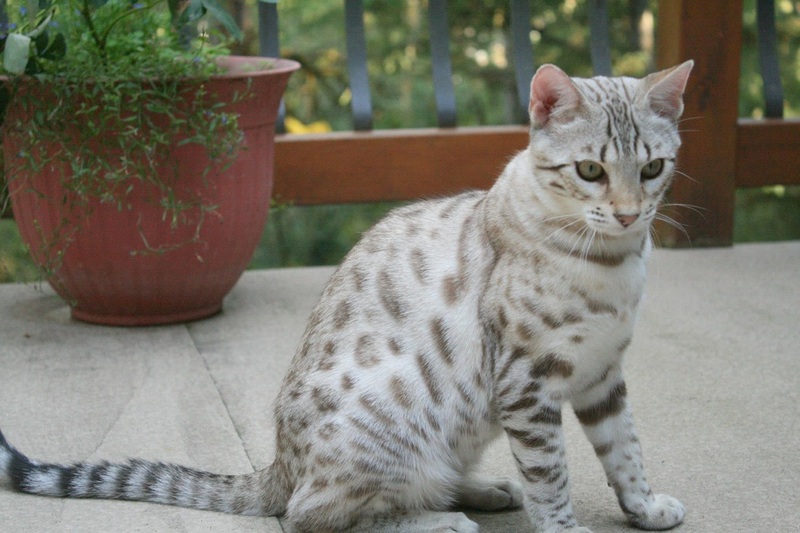 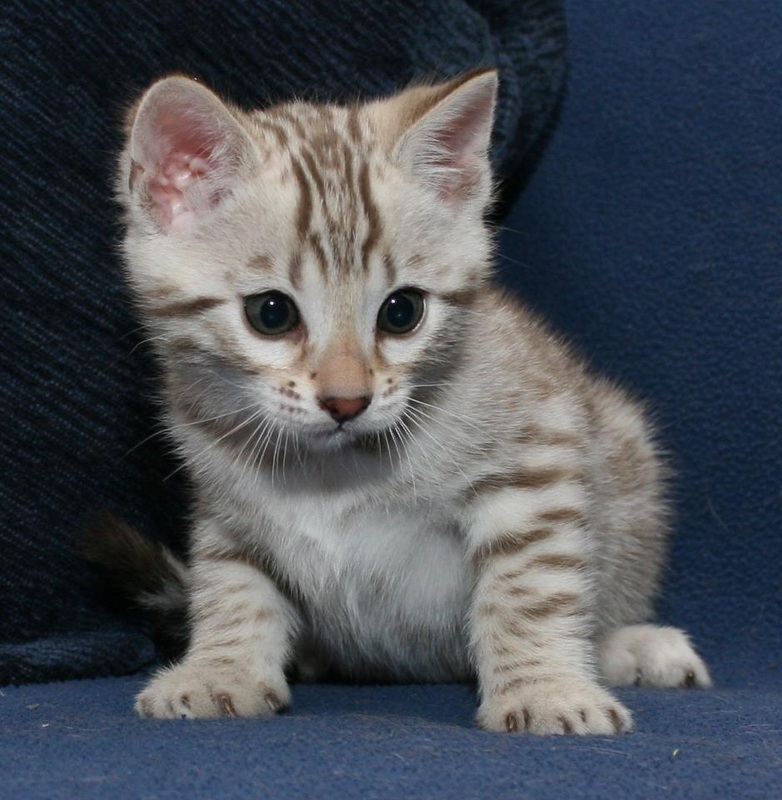 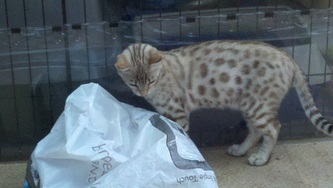 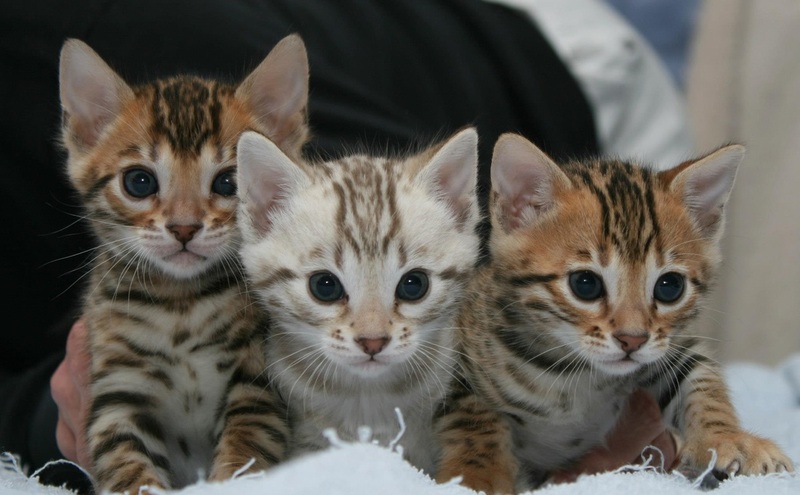 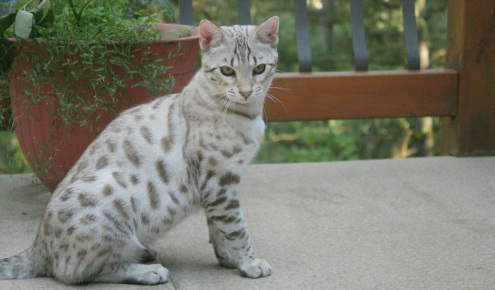 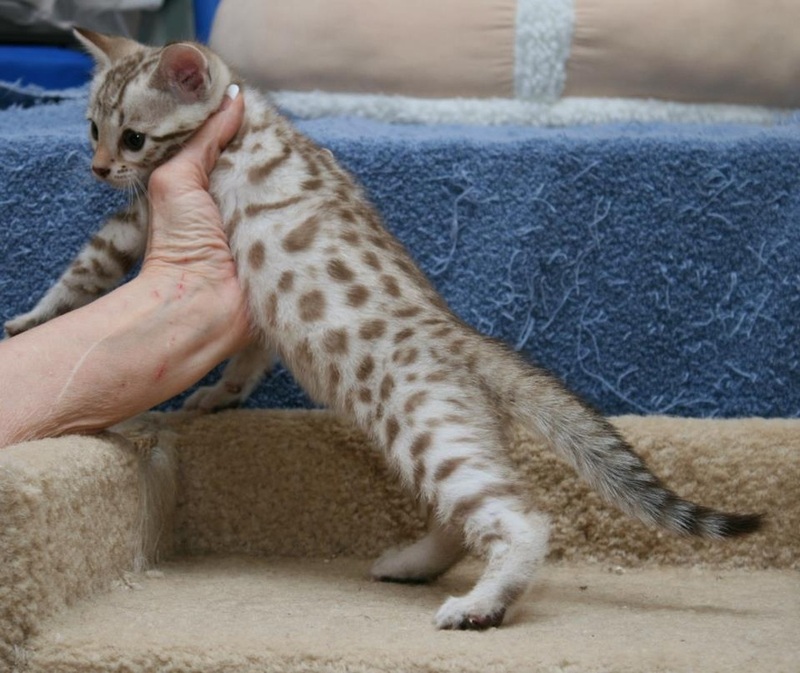 Raindancers Irish Creme - Northwest Bengal Cats Beautiful, friendly Bengal Cats and kittens for sale in the Pacific Northwest of Oregon. 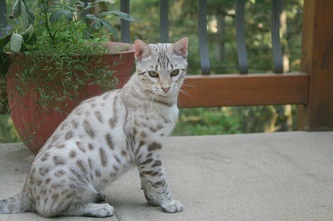 We expected great type from this pairing between Kyten & Bailey, but this Mink boy really has it all! 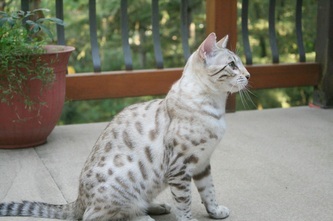 Outgoing, confident personality along with a beautifully shaped head, small well placed ears and a great muzzle. 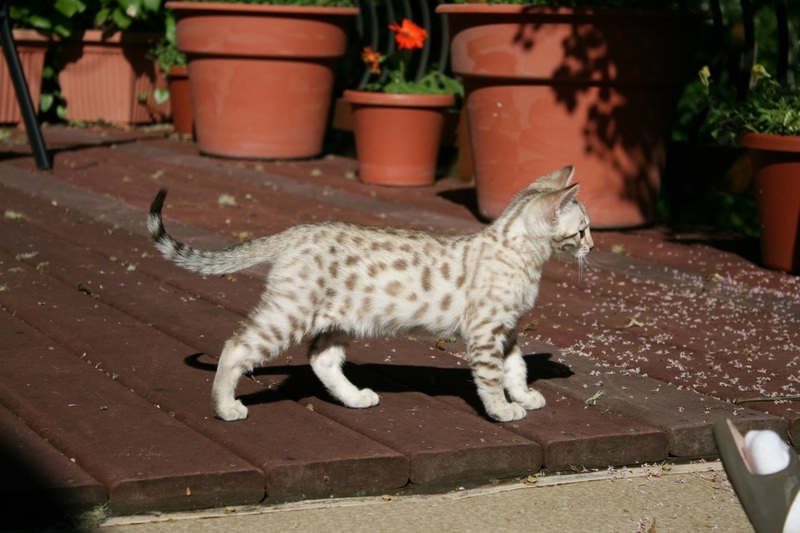 All this wrapped in a creamy coat with spots everywhere, even down his legs.